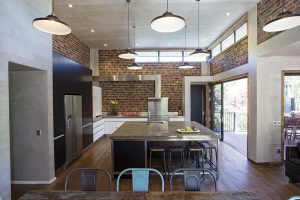 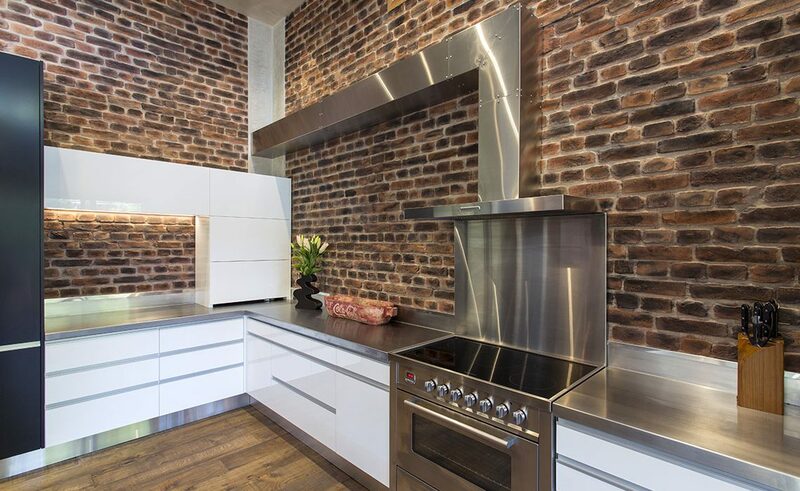 This stunning New York Loft Style kitchen has an industrial feel that complements the internal brick, concrete and timber theme throughout the rest of their new home. 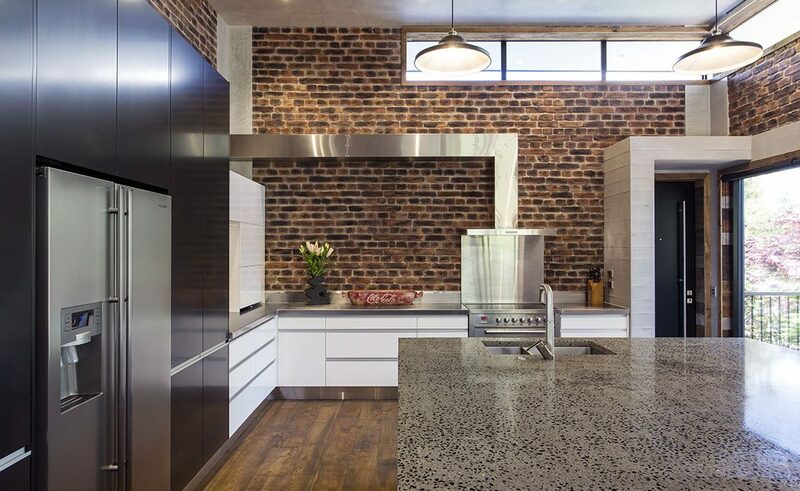 The hub of this kitchen is undoubtedly the bold concrete island bench, while the rest of the kitchen design is built on this to ensure the kitchen is the focal point of this home – after all, it is the first thing one sees upon walking through the front door! 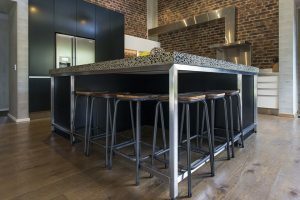 In keeping with the industrial look the perimeter benches are also in stainless steel; with stainless steel appliances and an exaggerated stainless steel flue to the range hood. 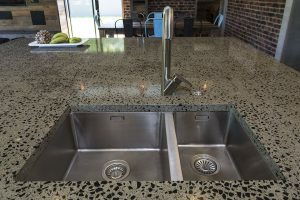 Stainless steel continues throughout to bring this kitchen together cohesively, and a custom stainless steel frame surrounds the island joinery, with complimentary stainless steel toe spaces, bench upstands and cooker splash back. 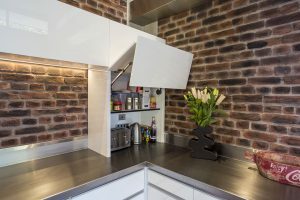 A 900mm wide Fisher and Paykel Dish Drawer. Surrounding joinery is finished in Black Melteca. 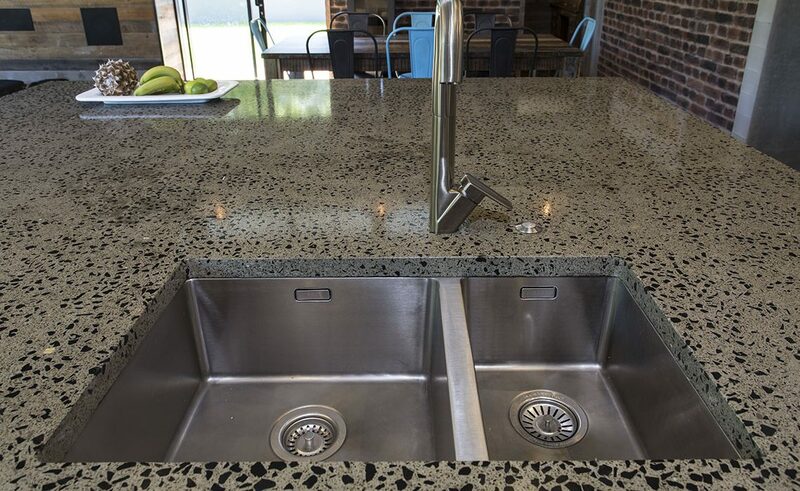 This is a hardwearing surface, and adds to the overall bold appearance of this kitchen. 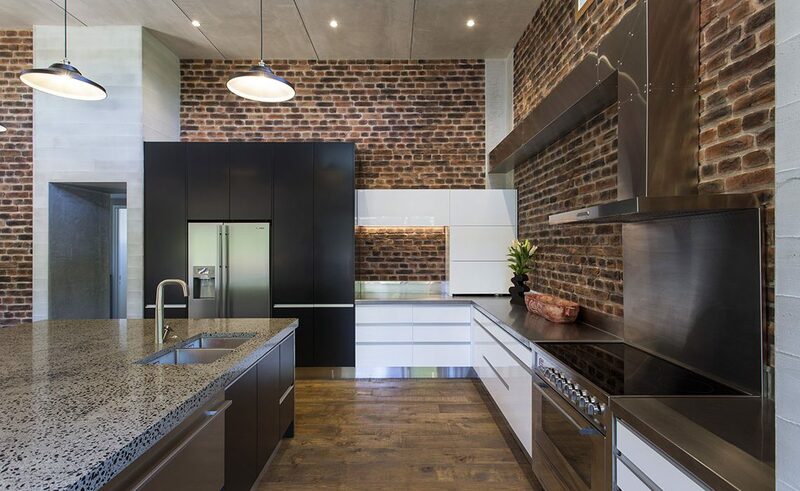 This black is also brought through to the tall joinery surrounding the main fridge. 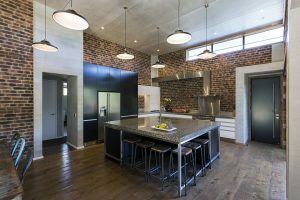 A large double Hafele Tandem pantry allows maximum food storage in a wide area, ensuring the owners and their three children are never lacking in space for their food items. 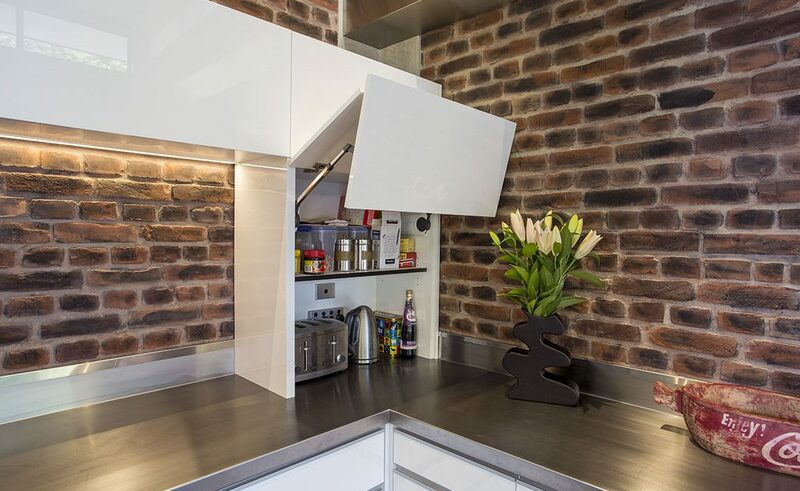 While an abundance of drawers allow items like toastie makers, popcorn poppers to be hidden away, but with easy access. 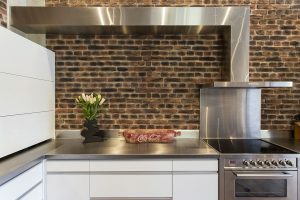 A handy oil drawer to the side of the cooker allows for quick and easy access to cooking oils and sauces while working at the cooktop. 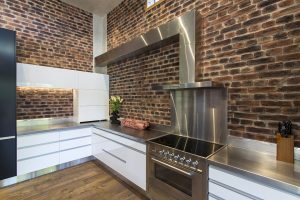 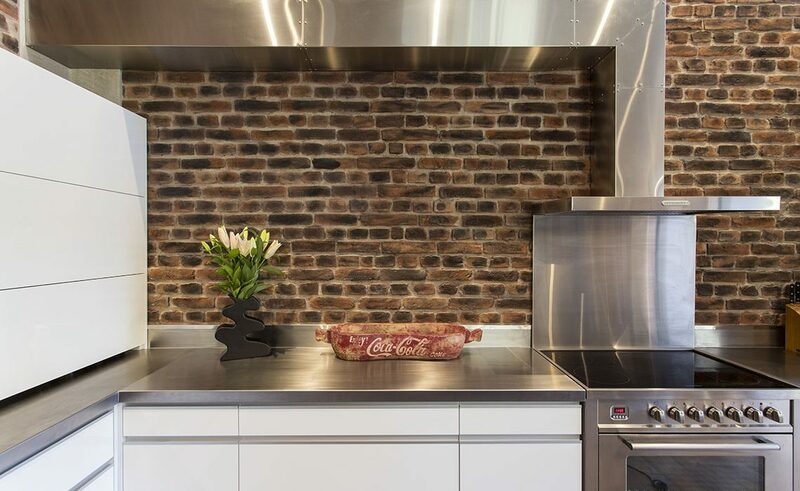 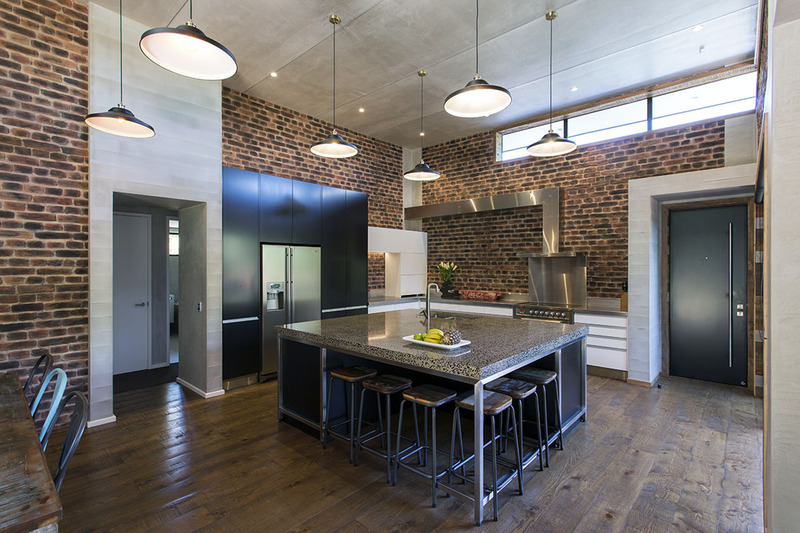 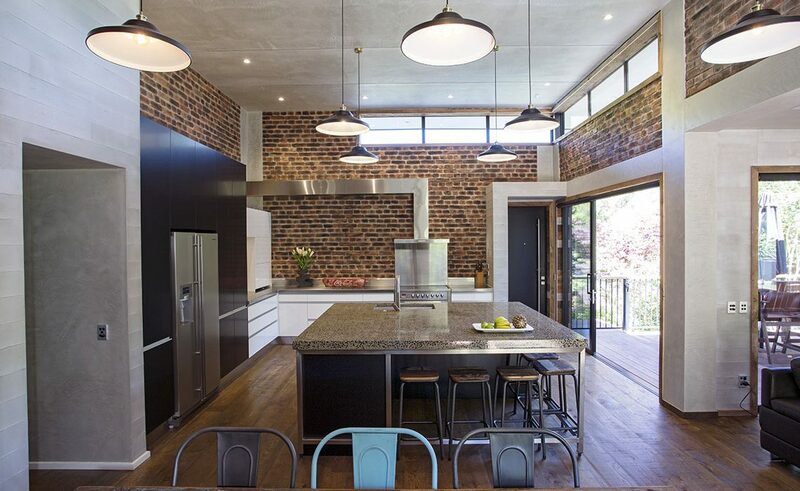 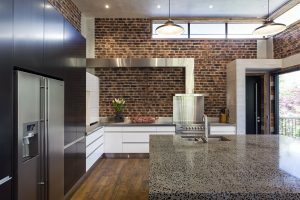 The kitchen is enhanced by Muros Rustic Brick wall panels applied and finished by the owners, to encapsulate this striking and functional space. 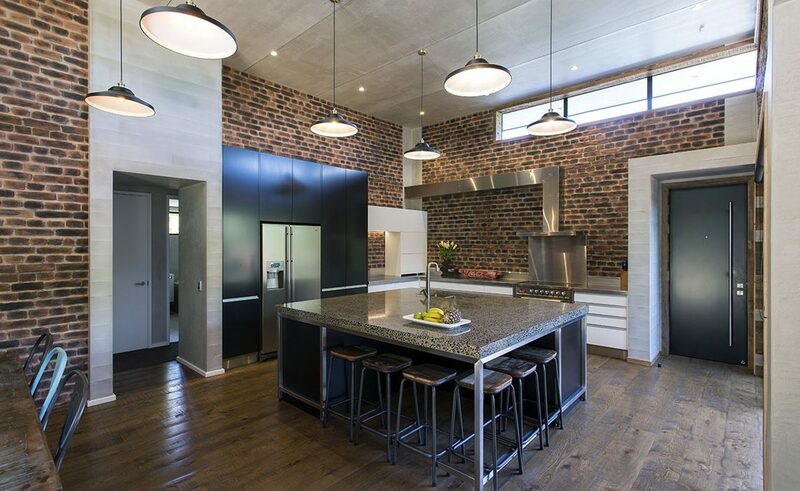 This kitchen was designed, manufactured at installed by Mastercraft Kitchens Christchurch.